One of Eastern Europe's most popular performers, Inna earned an international reputation as an EDM diva, lending heat and personality to house-influenced dance tracks. Hailing from Romania, Inna scored a breakout hit in 2008 with "Hot," a tune that first became a chart success in Romania, then swept through Europe and in 2010 crossed over into America. She also proved to be simpatico with Latin artists, duetting with Daddy Yankee ("More Than Friends") and J Balvin ("Cola Song"), and she also worked with hip-hop stars such as Flo Rida ("Club Rocker") and Pitbull ("All the Things"). As Inna's career progressed, she explored a more pop-oriented sound on her 2017 album Nirvana, as well as Latin and Gypsy influences on 2019's Yo. Inna was born Elena Alexandra Apostoleanu in Mangalia, Romania on October 16, 1986. Her mother had a career as a singer and dancer, as did her grandmother, and Elena discovered her love of singing while attending church with her family. Her parents recognized her talent early on, and when she was seven years old they signed her up for lessons with a vocal coach. While Apostoleanu loved music, she was hesitant about making it her career, and in her teens she enrolled at Mangalia's Colegiul Economic (Economy College), where she studied political science. She auditioned for the Romanian group A.S.I.A., but didn't make the cut, and turned to office work to support herself. However, fate stepped in when one of her co-workers heard her singing to herself at the office; her work friend had an in with the successful Romanian production team Play & Win, and Apostoleanu was introduced to them. Apostoleanu cut some tracks with Play & Win, and adopted the stage name Alessandra in 2008; that same year, she made her first television appearance on the show Teo! The name Alessandra didn't last long, and she began using the handle Inna, a nickname her grandfather had given her as a child. Inna released her first single in August 2008, a house-influenced dance track titled "Hot" that topped the Romanian charts, became a success across Europe, and would belatedly hit the American dance airplay chart in 2010. A second single, 2009's "Love," quickly rose to the Top Five in Romania, and Inna's first album, Hot (released in some European markets as Very Hot), arrived in August of that year, and featured another international single, "10 Minutes." Her success led to Inna being named Best Romanian Act at the MTV Europe Music Awards in 2009 and 2010. Inna's second full-length album, I Am the Club Rocker, arrived in September 2011, and featured guest appearances by Flo Rida ("Club Rocker") and Juan Magan ("Un Momento"). Once again produced by Play & Win, the album rose to the Top 20 in Belgium and the Czech Republic and peaked at number eight on the Mexican album charts. Inna's May 2012 single, "Caliente," was a thank you to her fans in Mexico, and two more international singles followed, "Tu Si Eu" and "Inndia." "Caliente" and "Inndia" would appear on Inna's third album, Party Never Ends, which was issued in March 2013; Play & Win produced many of the tracks, but several other producers were on board for the project, including DJ Frank E, Orange Factory, Steve Mac, and DJ Smash. The tune "More Than Friends" featured a cameo appearance from reggaeton star Daddy Yankee, and Inna toured the United States for the first time in support of the album. Later the same year, Inna did a guest spot on Pitbull's "All the Things" from his EP Meltdown. In 2014, Inna signed an American record deal with Atlantic Records, and her first release for the label was the single "Cola Song," which featured J Balvin and was played more than 62 million times on major streaming services. By this time, Inna had over 750,000 followers on Twitter and 12.5 million likes on Facebook, while her videos had collectively been viewed over two billion times. October 2015 brought Inna's self-titled fourth album, which was released in Japan under the title Body and the Sun. 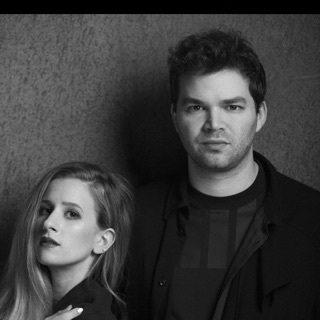 Guest stars included J-Son ("Bamboreea"), Eric Turner ("Bop Bop"), and Marian Hill ("Diggy Down"). The album rose to the top of the Romanian charts, but failed to live up to expectations in many other markets, including Japan and Mexico.